Every holiday seems to sneak up on me but not this time! I blame school a little bit. I just haven’t had time to think of elaborate ideas to celebrate this holiday like I normally do. But for Valentines this year I not only wanted to keep it simple but make it easy. 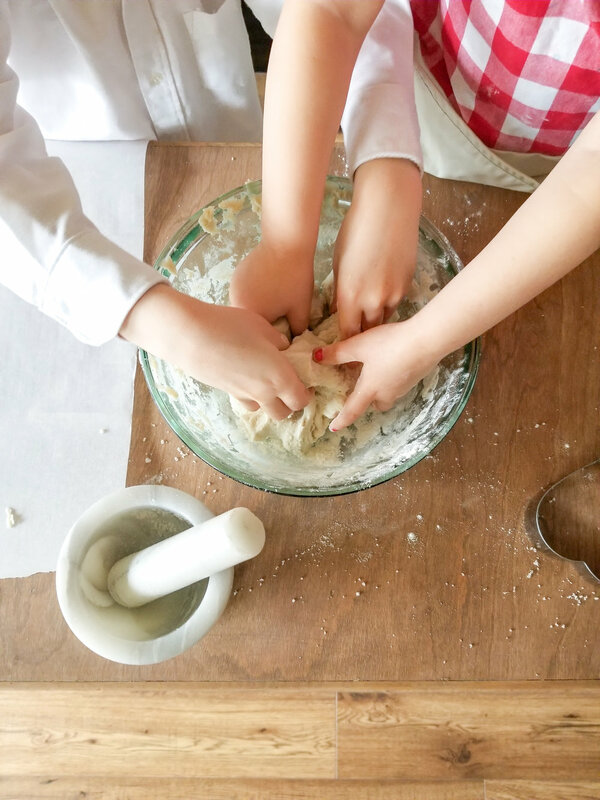 Below is a simple round-up of easy crafts and decor to do at home with the family (or by yourself too!). 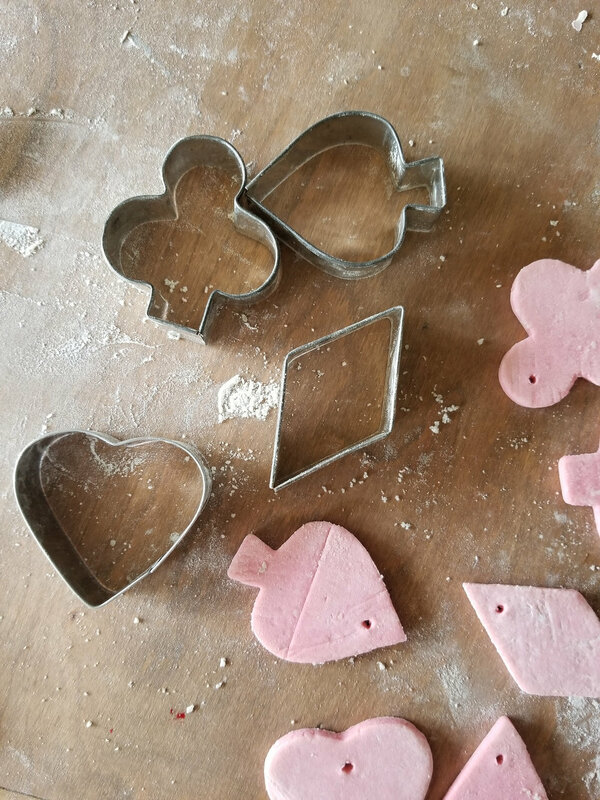 Valentine’s Alice in Wonderland inspired salt dough shapes. 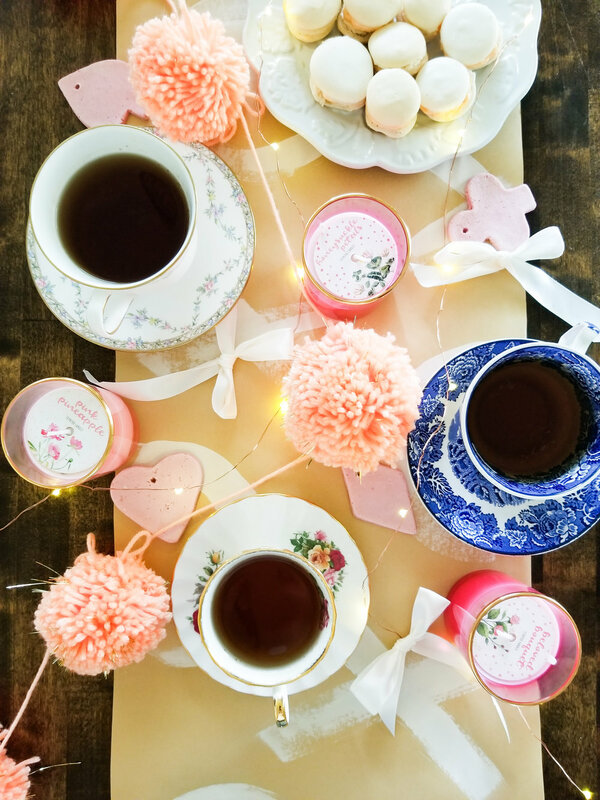 I don’t know what it is about Valentine’s that reminds me of Alice in Wonderland. I have these vintage cookie cutters that I like to pull out just because and these seem to fit the occasion. 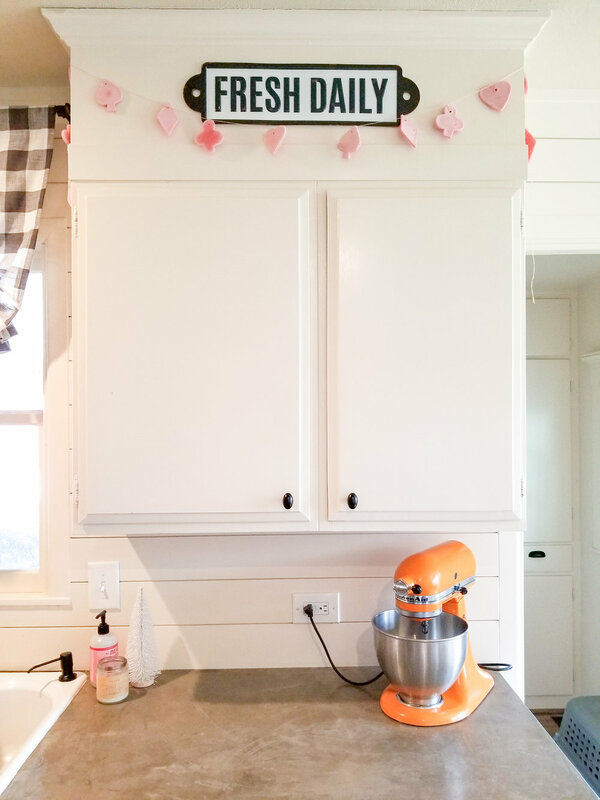 The salt dough shapes could be used for Valentine’s by themselves (maybe with a ribbon and a cute note attached) or this garland that I did in my kitchen. Such a fun craft for the kids to help with too! Decorate the table a brown a paper runner and some white craft paint. I bought this for $3 at target but I always have this one on hand that I bought from Home Depot that I could have used as well. Dude! 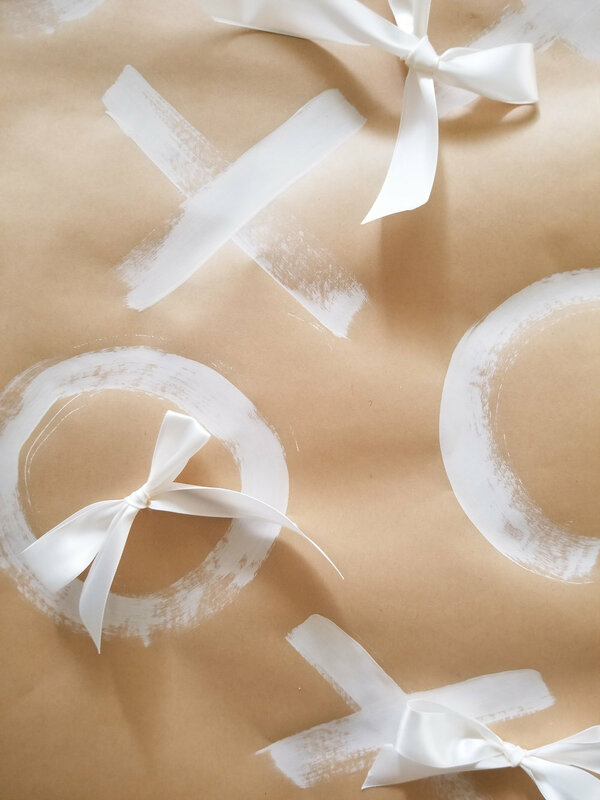 This paper is 12 bucks and I used it for wrapping gifts and decorating the table. I love it so much that I will never go back to buy wrapping paper again! And I always have brushes and craft paints on hand so this was a no brainer for me. Sweet treats such as these macarons. Living in a mostly gluten free house hold I pretty much always have the ingredient on hand. This tried and true recipe makes lovely fool-proof macarons. 10/10 would recommend. Other easier simple treats to include would be rice crispy treats or chocolate covered strawberries! Change up your pictures or signs around the house. 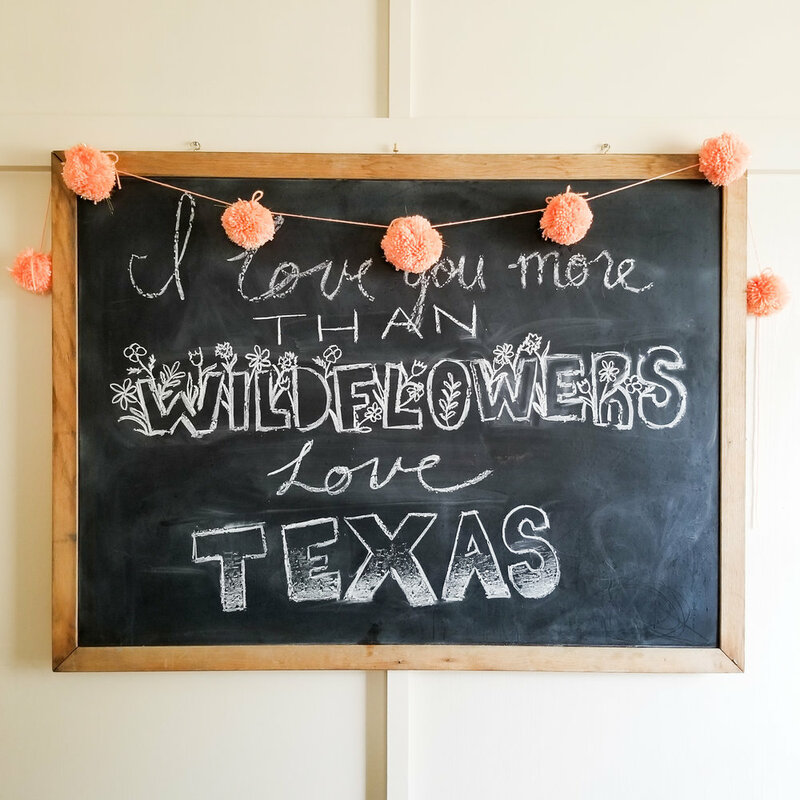 I have some frames I like to change out during each season but if I can’t get to them I most just change my chalkboard in my dining room and my letter board that sits on our mantel. It can make a space instantly fun and festive by changing these out to fit the season! Quote curtesy of the Semi-Minimalist. If you decide to use the quote please source accordingly. Thank you! I also reused my pink bottle brush trees and twinkle lights. I’m pretty obsessed with twinkle lights. They go with every occasion and they give any simple space a little something extra. Also not sure where this quote originated from but if someone knows I’ll be happy to source! That’s it! Short and sweet! I would love to know any other additional ideas as well as if anyone tried these out for themselves!